Another entry of a nautical nature by Mistress katherine k - a latitude stick. This entry is for the categories Oh Say Can You Sea?, String Theory and For Science! Arabs and the sea-farers of India use these sticks to determine their latitude while upon the waves. da Gama and the Portugeuse have recently brought this knowledge to our seas. 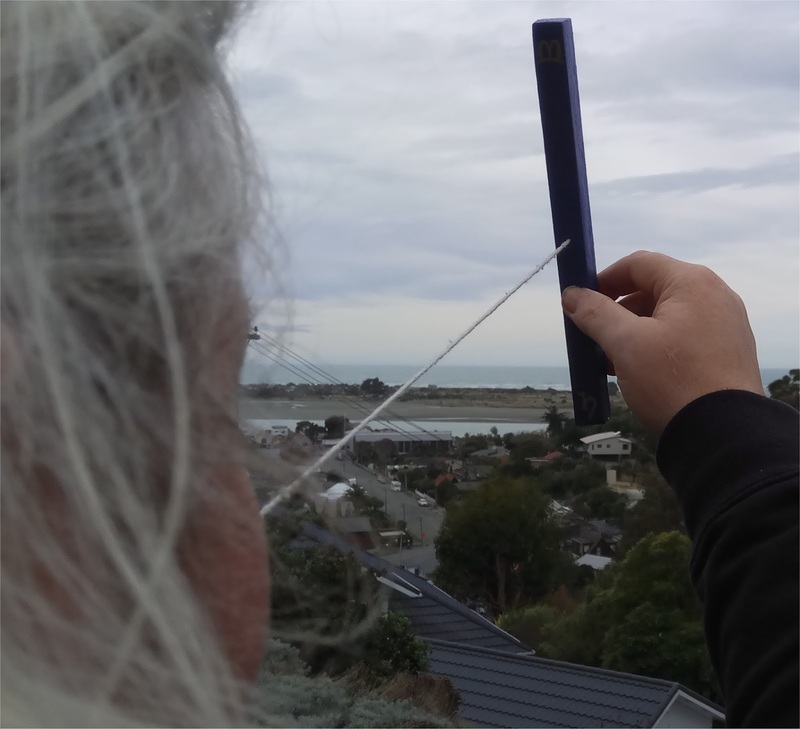 The ka-mal is held out at arm's length matching the horizon at one end and the celestial centre of the sky at the other. Knots in the string are set for the latitudes of desired ports. Hold the port knot in your teeth and the ka-mal will tell you your required course north or south. In this case, the knots have been set for the latittudes of the important settlements in the Crescent Isles, and will be tested against the sky during my travels.